Since 1965, Harapat Auto Service has proudly provided automotive service, maintenance and repairs to drivers throughout Iowa City, IA. From engine work to transmission repair, brakes to oil changes and beyond, we provide your car with the fullest levels of service excellence! Call or stop by our shop today. To get the best value out of your vehicle and keep the odometer rolling higher and higher, it pays to trust an experienced mechanic. From routine oil changes to unforeseen engine repairs, a quality mechanic in Iowa City will be able to give your vehicle the critical care it needs to stay in its best functional condition. Harapat Auto Service wants to be your partner for automotive care. Backed by decades of experience and professionals who truly care about our customers and their cars, we always deliver top-level workmanship. What’s more, our shop can handle nearly any service you might require—including transmission work and auto electrical services! Our concise approach to auto repair in Iowa City means you’re always going to get the results you need, quickly and for an honest price. We know your vehicle is an important part of your daily life, which is why we quickly assess the full scope of its condition and provide tailored results that get you back on the road quickly and safely. 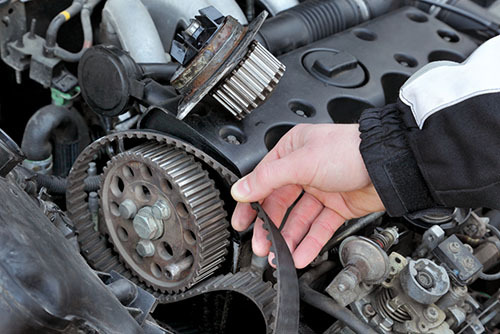 When you hear strange noises, see your ‘check engine’ light or realize it’s time for scheduled maintenance, we invite you to make an appointment with us. We’re certain you’ll see why our customers keep on coming back to us over the life of their vehicles. Our mechanics are all ASE-Certified for excellence! We’re an authorized AC Delco Distributor and NAPA Auto Care Retailer. We’ve been in business since 1965 and have more than 50 years of professional experience. Our business is locally-owned and –operated in Iowa City. We offer local shuttle service for your convenience. For the very best vehicle care and repair, trust Harapat Auto Service. We’re your full-service automotive experts and we look forward to serving you and your vehicle.